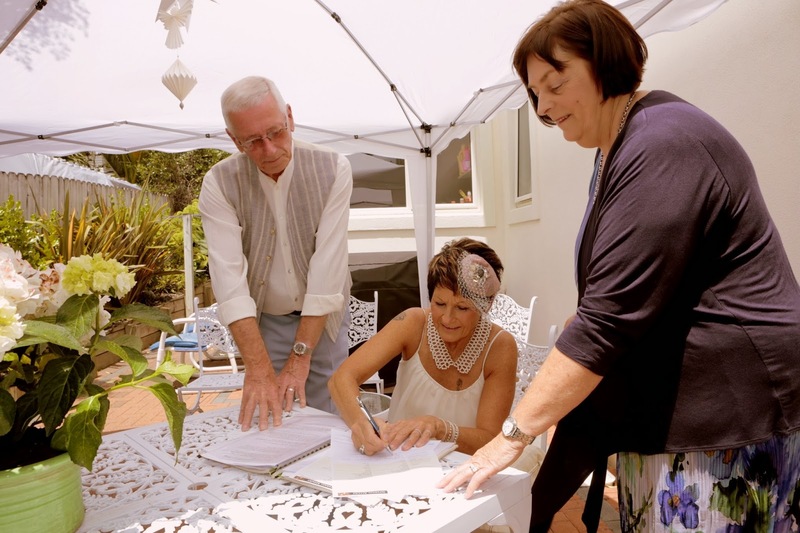 An intimate Auckland wedding in a private garden : Celebrant :Alexa Bartlett Auckland. 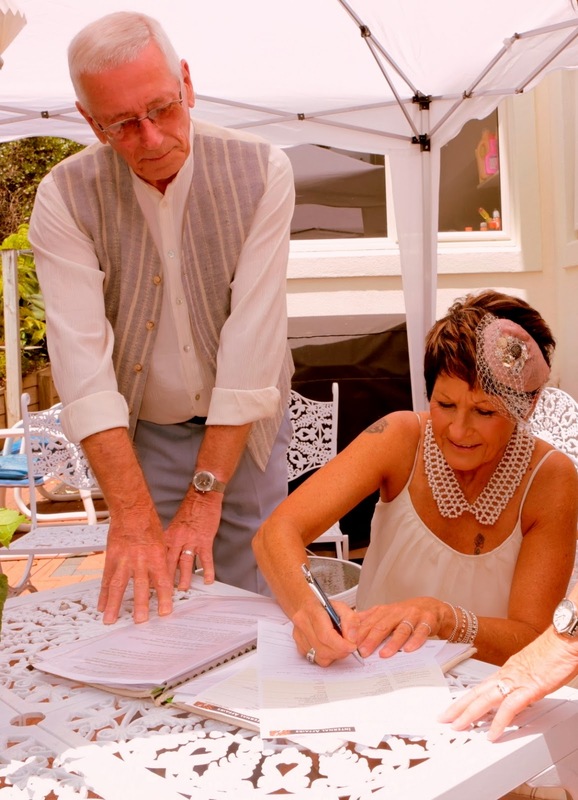 Tony and Kerry celebrated their wedding day in the garden with their friends and family. It was an intimate gathering and they were serenaded with music played on the guitar by Kerry's brother. It was a delight to officiate for this lovely couple. The beautiful home and manicured surroundings complimented the occasion.